Found 2 file extension associations related to Analysis Studio and 2 file formats developed specifically for use with Analysis Studio. Developer / company: Appricon Ltd. 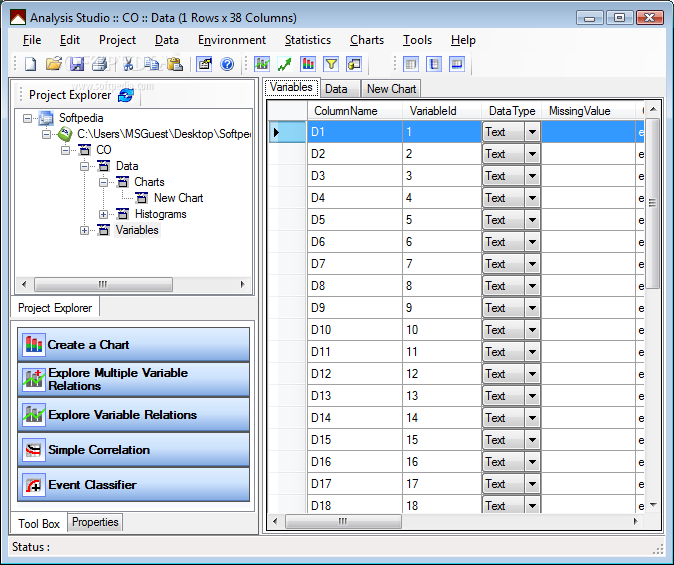 Analysis Studio is a comprehensive, easy to use data mining tool. Analysis Studio includes automated methods for gaining a high level of accuracy and model stability. The Analysis Studio software seems to be old or discontinued. If you need more information please contact the developers of Analysis Studio (Appricon Ltd.), or check out their product website.